Do you have Rush's Road to Fulfillment? How is everything going on your book? Hi OFT! Haven't heard from you in a while. Glad you stopped by! Sorry I didn't get back to you sooner. I have never heard of Rush' book until now; so unfortunately, I don't have it. I looked for it, but it seems to be a rare book. If I find any information, I promise to get back to you, though. 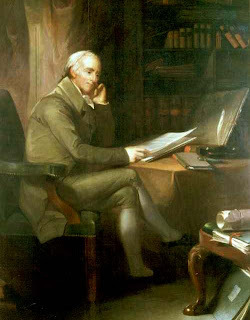 This is a great resource list for Benjamin Rush. I appreciate your website and its contents. I wish more people would have the fire to share and read the words of the Founding Fathers.